Protecting and promoting British Sign Language. 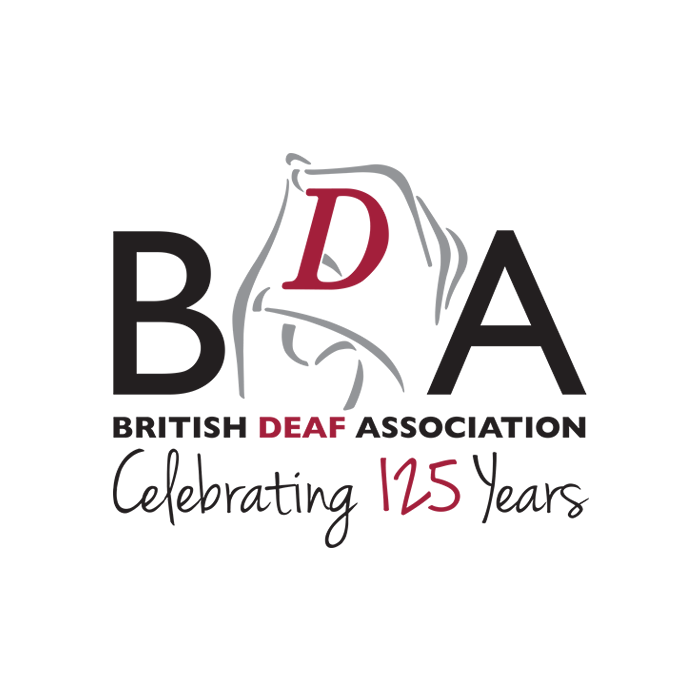 The BDA is a Deaf people’s organisation representing a diverse, vibrant and ever-changing community of Deaf people. Our activities, promotions, and partnerships with other organisations aim to empower our community towards full participation and contribution as equal and valued citizens in the wider society. We also aim to act as guardians of British Sign Language. The British Deaf Association provide many services to deaf and hard of hearing people. They include advocacy, health promotion, interpretation, Access project which produces videos, sign language services, youth services and educational services.